Computer vision syndrome affects three out four computer users. It is a series of symptoms related to extended periods of computer usage. Headache, eye strain, neck and back aches, sensitivity to light, blurred vision, double vision, and dry or irritated eyes are all possible symptoms related to CVS. Measures can be taken to relieve symptoms of CVS. The special Computer exam performed by our doctors in Palo Alto will determine if there is a need for a computer prescription. 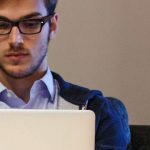 The glasses that result from this exam can dramatically increase your visual comfort and productivity when using a computer. Individuals who experience neck and shoulder pain may see a significant reduction in those problems as well. How to measure:While you sit in a comfortable upright posture, have someone else measure the distance between the bridge of your nose and the center of your computer screen. If you use more than one computer screen, please measure each one of them. Be sure to bring in the measurement/s to your appointment. The extent to which individuals experience visual symptoms often depends on the level of their visual abilities and the amount of time spent looking at the computer screen. Uncorrected vision problems like farsightedness and astigmatism, inadequate eye focusing or eye coordination abilities, and aging changes of the eyes, such as presbyopia, can all contribute to the development of visual symptoms when using a computer. Many of the visual symptoms experienced by computer users are only temporary and will decline after stopping computer work. However, some individuals may experience continued reduced visual abilities, such as blurred distance vision, even after stopping work at a computer. If nothing is done to address the cause of the problem, the symptoms will continue to recur and perhaps worsen with future computer use. Prevention or reduction of the vision problems associated with Computer Vision Syndrome involves taking steps to control lighting and glare on the computer screen, establishing proper working distances and posture for computer viewing, and assuring that even minor vision problems are properly corrected. Viewing a computer screen often makes the eyes work harder. As a result, the unique characteristics and high visual demands of computer viewing make many individuals susceptible to the development of vision-related symptoms. Viewing a computer screen is different than reading a printed page. Often the letters on the computer screen are not as precise or sharply defined, the level of contrast of the letters to the background is reduced, and the presence of glare and reflections on the screen may make viewing difficult. Viewing distances and angles used for computer work are also often different from those commonly used for other reading or writing tasks. As a result, the eye focusing and eye movement requirements for computer viewing can place additional demands on the visual system. In addition, the presence of even minor vision problems can often significantly affect comfort and performance at a computer. Uncorrected or under corrected vision problems can be major contributing factors to computer-related eyestrain. Even people who have an eyeglass or contact lens prescription may find it’s not suitable for the specific viewing distances of their computer screen. Some people tilt their heads at odd angles because their glasses aren’t designed for looking at a computer. Or they bend toward the screen in order to see it clearly. Their postures can result in muscle spasms or pain in the neck, shoulder or back. In most cases, symptoms of CVS occur because the visual demands of the task exceed the visual abilities of the individual to comfortably perform them. At greatest risk for developing CVS are those persons who spend two or more continuous hours at a computer every day. Patient history to determine any symptoms the patient is experiencing and the presence of any general health problems, medications taken, or environmental factors that may be contributing to the symptoms related to computer use. Visual acuity measurements to assess the extent to which vision may be affected. A refraction to determine the appropriate lens power needed to compensate for any refractive errors (nearsightedness, farsightedness or astigmatism). Testing how the eyes focus, move and work together. In order to obtain a clear, single image of what is being viewed, the eyes must effectively change focus, move and work in unison. This testing will look for problems that keep your eyes from focusing effectively or make it difficult to use both eyes together. This testing may be done without the use of eye drops to determine how the eyes respond under normal seeing conditions. In some cases, such as when some of the eyes’ focusing power may be hidden, eye drops may be used. They temporarily keep the eyes from changing focus while testing is done. Using the information obtained from these tests, along with results of other tests, your Palo Alto optometrist can determine if you have Computer Vision Syndrome and advise you on treatment options. 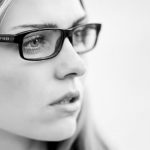 Solutions to computer-related vision problems are varied. However, CVS can usually be alleviated by obtaining regular eye care and making changes in how you view the computer screen. In some cases, individuals who do not require the use of eyeglasses for other daily activities may benefit from glasses prescribed specifically for computer use. In addition, persons already wearing glasses may find their current prescription does not provide optimal vision for viewing a computer. Eyeglasses or contact lenses prescribed for general use may not be adequate for computer work. Lenses prescribed to meet the unique visual demands of computer viewing may be needed. Special lens designs, lens powers or lens tints or coatings may help to maximize visual abilities and comfort. Some computer users experience problems with eye focusing or eye coordination that can’t be adequately corrected with eyeglasses or contact lenses. A program of vision therapy may be needed to treat these specific problems. Vision therapy, also called visual training, is a structured program of visual activities prescribed to improve visual abilities. It trains the eyes and brain to work together more effectively. These eye exercises help remediate deficiencies in eye movement, eye focusing and eye teaming and reinforce the eye-brain connection. Treatment may include office-based as well as home training procedures. Some important factors in preventing or reducing the symptoms of CVS have to do with the computer and how it is used. This includes lighting conditions, chair comfort, location of reference materials, position of the monitor, and the use of rest breaks. Location of computer screen – Most people find it more comfortable to view a computer when the eyes are looking downward. Optimally, the computer screen should be 15 to 20 degrees below eye level (about 4 or 5 inches) as measured from the center of the screen and 20 to 28 inches from the eyes. Reference materials – These materials should be located above the keyboard and below the monitor. If this is not possible, a document holder can be used beside the monitor. The goal is to position the documents so you do not need to move your head to look from the document to the screen. Lighting – Position the computer screen to avoid glare, particularly from overhead lighting or windows. Use blinds or drapes on windows and replace the light bulbs in desk lamps with bulbs of lower wattage. Anti-glare screens – If there is no way to minimize glare from light sources, consider using a screen glare filter. These filters decrease the amount of light reflected from the screen. Seating position – Chairs should be comfortably padded and conform to the body. Chair height should be adjusted so your feet rest flat on the floor. If your chair has arms, they should be adjusted to provide arm support while you are typing. Your wrists shouldn’t rest on the keyboard when typing. Rest breaks – To prevent eyestrain, try to rest your eyes when using the computer for long periods. Rest your eyes for 15 minutes after two hours of continuous computer use. Also, for every 20 minutes of computer viewing, look into the distance for 20 seconds to allow your eyes a chance to refocus. Blinking – To minimize your chances of developing dry eye when using a computer, make an effort to blink frequently. Blinking keeps the front surface of your eye moist. Regular eye examinations at our Palo Alto office and proper viewing habits can help to prevent or reduce the development of the symptoms associated with Computer Vision Syndrome. Source: Computer Vision Syndrome, article by the American Optometric Association. ©2012 All rights reserved. Reproduction other than for one-time personal use is strictly prohibited. Everyone was incredibly knowledgeable and helpful during my time here. Thank you! Great team and and great service! Love everyone and everything they do for me! Love everyone and everything they do for me! Everyone is always attentive to my needs, always professional and at the same time making me feel like part of the family. Cheers! Great experience! Caring, friendly & warm atmosphere! Great Eye Exam with the most efficient staff too! Thank you for the friendly and professional experience. The customer service is by far my favorite part of your practice. Received excellent help while looking at new frames. I always know I can count on University Optometry for excellent service and friendly staff. Great experience & friendly doctor and staff members. I love coming to university optometry! The support staff is awesome; it feels like family. Picking out a new frames with one of the support staff’s feels like having one of your own girlfriends there. University optometry makes the best progressive glasses ever! The service was great in every way! Now I have two new glasses that I absolutely love! Ariana and Andrea helped me and they were amazing. Super patient and diligent, they gave me a lot of options of frames to pick from. They have great feedback, and their honest opinion on how the frames looked on my face. I would definitely recommend if you need frames, contacts, or any optometry appointments you should check them out. The doctor and optometrists are all a pleasure to work with. After years of going to the “family” optometrists, I finally branched out and discovered this place. This was the first time I’ve ever needed glasses and these people were extremely helpful and compassionate! I will continue going there for as long as I need to see!! I’ve been fortunate enough to be able to call this office my home for all things related to my eyes for 20+ years. They go the extra mile with eye health care, not just “can you see the big E” and sell you a pair of glasses. I have recommended them to just about everyone. Dr. Ratinoff, Donna, and the staff are caring experts who make you feel right at home. Even though I have retired from my career in Palo Alto and live in Fremont, I gladly make the trip across the bay to continue having my eyes seen to by these great people. Everyone is very personable and helpful! Thorough examinations and great glasses selection. I’ve been going here for 22 years. The service is excellent and the people are friendly and knowledgeable. Great selection of frames, too. I have had my optometric needs met at University Optometry for decades with unfailing excellence of service. The staff has been unfailingly polite and professional over the years. Consideration of my needs has always been the watchword at University Optometry. I consider Dr. Ratinoff, his wife Donna, and the friendly professional staff as part of my extended family. 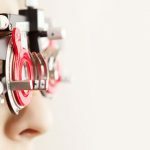 I have often recommended the services of University Optometry to friends over the decades who seek state-of-the-art considerate service to meet all their optometric needs in an atmosphere of competence and care. Dr. Ratinoff, his wife Donna, and their staff exemplify the highest standards of professionalism and care in every respect. I recommend their services without reservation if you seek the best in care.